Barry Goldwater did not much like religious conservatives. Though he's often considered the first of the modern conservatives, playing John the Baptist to Ronald Reagan's Jesus Christ in the story of conservatism's electoral triumph, Goldwater was a libertarian with little interest in the social issues that would animate much of Reagan's base. A 2006 documentary on Goldwater called Mr. Conservative looked at how Goldwater fought the religious right over the nomination of Supreme Court Justice Sandra Day O'Conner. Religious right leaders such as Jerry Falwell sought to exercise their new-found power to keep O'Conner off the court. Goldwater said good Christians and good conservatives ought to repudiate the minister. "This is not a conservative issue," he said. "Abortion is not a conservative issue." As the 2016 election heats up, some of these same divisions can be seen in the Republican Party. It is hard to imagine any candidate, even the ones that don't particularly care about the religious right's social policy agenda, taking Goldwater's stance. How things change. Russell Moore gets death threats. This is perhaps not that surprising. Moore, after all, is president of the Southern Baptist Ethics and Religious Liberty Commission. He makes it his business to speak on abortion, homosexuality, gender roles, and the separation of church and state, arguing for the conservative Christian position on culturally controversial issues. Yet it's not those issues that bring out the most bile, the most vitriol from people, according to Moore. "Nothing brings out more hate mail, nothing, than when I say that too many black kids are being shot in America," Moore wrote. "Often this hate mail is accompanied by the sort of neo-Confederate rhetoric that I would have thought would have died out, at least in its explicit form, a long, long time ago . . . . We have come a long way toward racial justice in this country, but we shouldn't be deceived." The death threats that Moore receives might also serve as an indicator for how far white evangelicals have come on the issue of racism in America. In the wake of a grand jury's decision not to indict Darren Wilson, a Ferguson, Mo., police officer who shot and killed a young and unarmed black man, Michael Brown, white evangelical leaders like Moore have spoken out. They have condemned racism. They have said that those upset by the American justice system's apparent disregard for the lives of young black men are not wrong to be upset, and scared, and angry. They have encouraged white evangelicals to listen to non-white people talk about racism. They have insisted that racism is a real problem. According to the Seattle P-I, controversial megachurch pastor Mark Driscoll was earning about $600,000 per year at Mars Hill, before he resigned, plus various benefits worth about $56,000 annually. As of Oct. 1, 2011, Driscoll received a salary of $564,615, including a $200,000 a year housing allowance. The pastor’s previous compensation package had been $267,500. The church also contributed $33,000 a year to Driscoll’s retirement, paid a $13,314 annual medical premium, put up $4,000 for the pastor’s cell phone and provided an “additional wellness stipend” of $6,000. Driscoll was also provided a team of assistants, including a research assistant. About $200,000 of church money was also used in a marketing scheme to put Real Marriage on the New York Times bestseller list, which is the scandal that started Driscoll's recent troubles, which led to his resignation. According to the Seattle P-I, Mars Hill had about 12,000 people regularly attending services at its peak and an annual revenue of $30 million. The megachurch will dissolve at the end of this year. 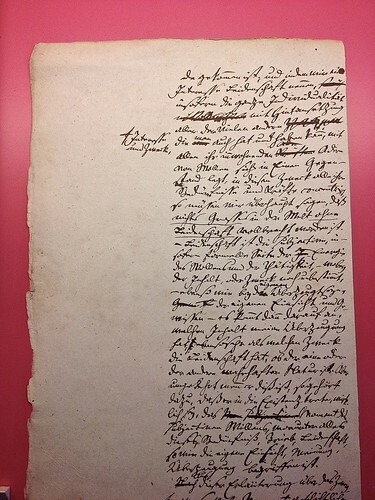 GFW Hegel's handwritten manuscript for Philosophe der Weltgeschichte, circa 1830. This full-page ad was run in the Washington Times on March 3, 1918, in the final edition. Sunday, arguably the most famous evangelical of the era, was an outspoken advocate of the war, as were most Protestant clergy at the time. In the text of the ad, Sunday says praying for the soldiers is meaningless without material support. "Some old geezers are strong on prayers for 'the brave boys in the trenches and on the battleships,' but their names haven't appeared on any Liberty Bond subscription list yet," the ad states. "Prayer of that kind don't get as high as a gas jet." Sunday also appeals to the aspirations of the reader. "The men who saved this country are going to fill every office from Justice of the Peace to President," it says. "Where will you be then if you're a shirker now?" 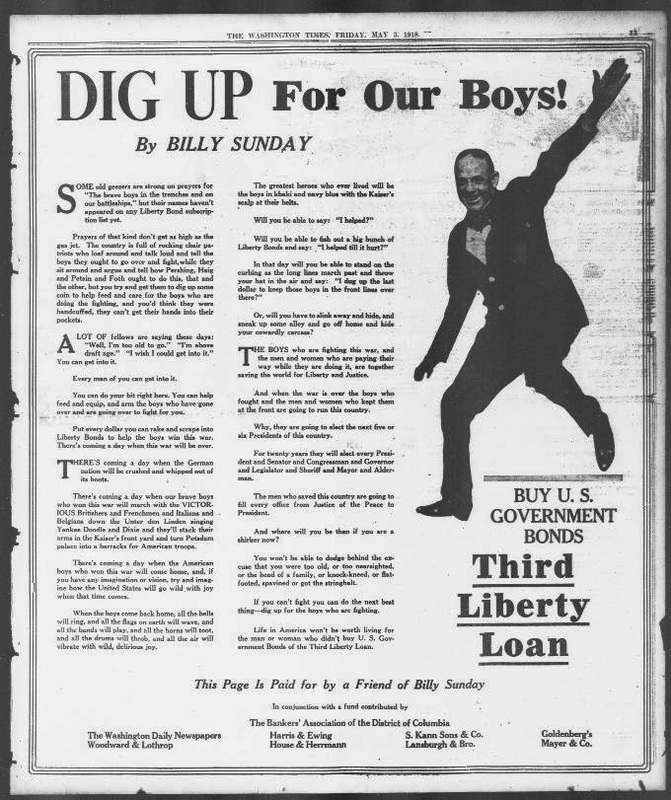 If Sunday's moral authority and the reader's self-interest are not convincing, the ad copy suggests another reason to buy Liberty Bonds: threat of violence. "Life in America won't be worth living," the last paragraph says, "for the man or women who didn't buy U.S. Government bonds of the third Liberty Loan." At the time, there were official and quasi-official bands of vigilantes enforcing American loyalty. One could become a target of violence by not buying the bonds that financed the war effort. Sunday's ad would have been read as a tacit endorsement of this enforcement. In her memoir of growing up evangelical Addie Zierman writes that she learned the word "mainstream" the day Amy Grant's 1991 single "Baby Baby" came on the radio. Listening to the song in the car, Zierman's mom "let it slip that the evangelicals were less than enthusiastic about the new album. It had to do with the shift in focus from sacred to secular, from praise to pop, from Christian to mainstream." This was an interesting moment in recent history of evangelical cultural engagement. For Zierman and many like her, the controversy around Grant's popular success was a revelation about how invested evangelicals were in maintaining borders. It was experienced as a kind of warning. Crossing certain lines could be very consequential. 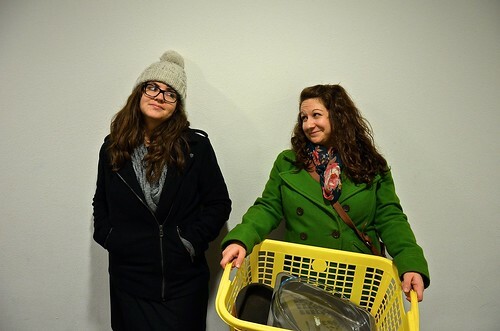 There is an "us." There is a "them." And you can fall over that line even without meaning too. An Eastern Orthodox prison inmate won a small but important victory in his legal fight to have the Indiana Department of Corrections recognize his religion. A federal district court has ruled that Dolen W. Glenn, a 52-year-old man from Valparaiso, Ind., can proceed with his case against the IDOC. Glenn is arguing his right to practice his religion has been substantially burdened because the prison system’s handbook of religion does not list Eastern Orthodox Christianity. Read more at Religion Dispatches: "Christian Inmate Suing Indiana to Recognize Religion"
Slave preachers led the meetings of the 'invisible institution' and exercised a good deal of influence among the slaves in general. Although illiterate, their verbal artistry earned the slave preachers the respect of blacks and sometimes whites as well. The slave preachers had to be careful not to mention freedom or equality for black people in this life, but only in Heaven -- at least in the presence of whites. Preachers and their followers developed ingeniously indirect and veiled references to fool any whites who might be listening . . . . The flexible structures of the spirituals allowed the slaves to comment on the daily events of their lives, so that the community heard and shared the cares and burdens of the individual expressed through song. 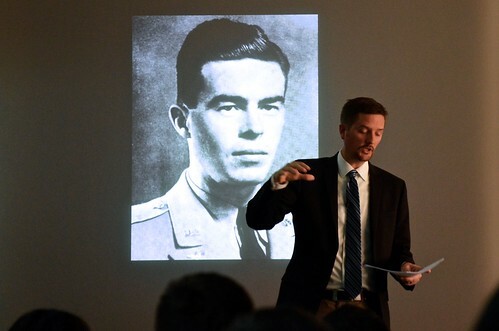 Matthew Sutton, talking about the partnerships between missionaries and spies in World War II, with a picture of John Birch, a missionary/spy killed in China. The religious right is defined by its issues. The "social issues": Abortion, the family, prayer in schools, traditional values, bringing America back to God, and so on. And yet, maybe that's wrong. Last week's election saw massive turnout from voters identified with the religious right. White evangelicals, other conservative Protestants and white Catholics arguably made up the most significant bloc of voters in the midterms. They decided the election decisively for the Republicans. The landslides were their landslides. The victories their victories. However, there's very little in those victories that really seems to connect with the social values that are supposed to be the big concerns of the voters who voted in such numbers last week. If you look at how Republicans won, if you look at how the elections were defined, if you look at how the results are being understood, it's not in terms familiar to definitions of the religious right. The group that was, according to the data, so critical, did not seem to care about the things that they are said to care about most of all. There are several explanations of this: Possibly this is a problem of a bad narrative, where the religious right's issues don't fit the expectations of those telling the story of the election, and thus get de-emphasized or even ignored. Possibly the religious right gets hijacked into an agenda it doesn't share. Another possibility, though, is that this bloc of voters has been misunderstood and mischaracterized. Perhaps the issues of this election were their issues. Maybe the media's not wrong and the voters actually know what they're doing. If that's possible, then there is another alternative account of the midterm election that opens up, where the religious right was influential even as none of their signature issues were at play, because they have been misunderstood, defined too rigidly and also just wrongly. The religious right is still a powerful force in American politics. Judging by the exit polls from last week's election, the credit for the Republican's decisive midterm victory looks like it should go to conservative Christians, who got out to vote and overwhelmingly went for Republicans. White evangelicals made up 26 percent of Tuesday's voters -- more even than in 2004, when white evangelicals made up slightly less than a quarter of the electorate but were credited with giving George W. Bush a second term. Not all of the evangelicals voted Republican, then or now, but most of them did. Nearly 80 percent marked their ballots for GOP candidates on Tuesday. White Catholics also made a strong showing at the polls and put their weight behind Republicans. Nineteen percent of Tuesday's voters were white Catholics and 60 percent of them voted GOP. This is slightly more than the 2010 election, the last midterms, where white Catholics made up 17 percent of voters and 59 percent of them voted Republican. Together, white Catholics and white Protestants -- a category that includes evangelicals but also mainliners, Mormons, and non-evangelical conservatives -- make up nearly 60 percent of the vote and more than 60 percent of them voted Republican. This is a solid bloc, and shows the religious right is still dominant in American politics today. In Arkansas, where Republican Tom Cotton was running for senate against incumbent Mark Pryor, 51 percent of voters were white evangelicals or Catholics. A full 73 percent of them voted for Cotton (despite the fact that Pryor himself is an evangelical and ran campaign ads invoking the Bible). In Kentucky, the percentage of evangelicals in the population has dropped to 32 percent, but they turned out to vote disproportionately. They made up more than half the voters on Tuesday, and 68 percent of them voted for Senator Mitch McConnell over his Democratic challenger, Alison Lundergan Grimes. In North Carolina, white evangelicals made up 40 percent of the electorate and 78 percent of them voted for the Republican Thom Tillis to replace the Democratic Senator Kay Hagin. Tillis won by a tiny margin, with about 47,000 more votes than Hagin. If evangelical support had been down even by 5 percent, Tillis would have lost. In Georgia, where there was another close race for senate, white evangelicals also made a difference. They made up 39 percent of voters and 61 percent of them went for the Republican David Purdue, versus just 12 percent who voted for the Democratic candidate, Michelle Nunn. As Sarah Posner wrote in Religion Dispatches, the "religious right spent decades building get-out-the-vote operations and candidate recruitment and training grounds," efforts that have long-term pay-off at the polls. The Faith and Freedom Coalition, run by Ralph Reed, reports it distributed 20 million voter guides to 117,000 churches ahead of this election, and made 10 million get-out-the-vote calls. These numbers would seem to disprove the narrative about the declining importance of the religious right. Less attention has been given to this bloc as a bloc in recent years, but that doesn't mean it has gone away. Without any solid evidence, Francis Schaeffer was sure that infanticide was happening. It was going to be happening. It would happen very soon. The slope from legalized abortion to infanticide was just too slippery for it not to happen. More than 30 years later, pro-life conservatives are still waiting for the slip down that slope. They expect it any day, and so unfounded rumors of a new acceptance of infanticide are greeted as outrageous, but also long expected. Thirty years later, however, it's still an urban legend. Many people, it turns out, do not generally feel compelled by the argument that either life begins at conception or infanticide is acceptable. The typically rhetorical question, "But where do you draw the line? ", is not impossible to answer. In their real lives, people draw these lines in many different places, often with a lot of nuance and careful consideration of the actual situations of human beings. For more than 30 years, pro-life advocates have believed they understood pro-choice logic and they've warned about its inevitable conclusion. But as report after report of that conclusion turn out to be fakes mistaken for fact, it's hard not to think the pro-life people are just wrong: The slope isn't that slippery. Read the full essay, "Infanticide Still Not a Growing Movement," at Religion Dispatches. Cartoon from the Atlanta Constitution, July 1, 1925. 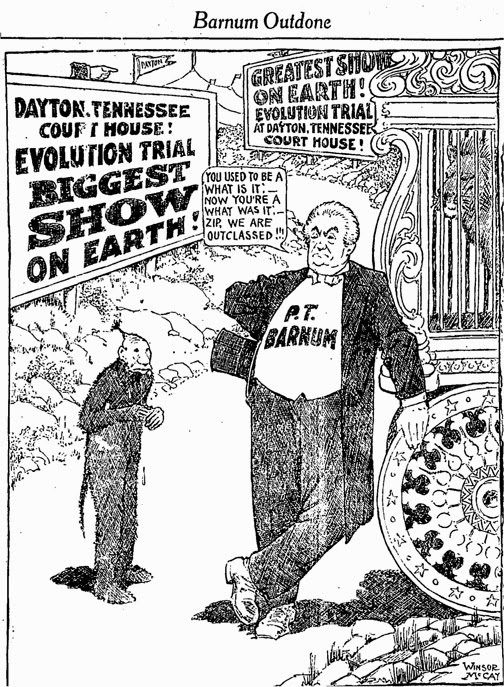 The cartoon depicts the view -- not uncommon -- that the famous Scopes trial, where a school teacher was put on trial for teaching evolution, was more of a publicity stunt for the town of Dayton, Tenn., than anything else. Zip the Pinhead was a freak show character played by William Henry Johnson, an African-American man from New Jersey who had an oddly shaped head. P.T. Barnum billed him as one of a tribe of "missing links" discovered in Africa. He also advertised Zip as Zip the What Is It. Zip the Pinhead illustrates how evolutionary ideas were linked, popularly, with a racist ideology. Other cartoons from Southern newspapers depicting the trial can be found here, along with cartoons from Northern newspapers, national magazines and fundamentalist publications. If you go to a church and stay there over time, you see babies baptized, and children confirmed, the middle-aged becoming the elders, becoming the much lamented. It actually configures your sense of things around the defined arc of human life I have lived in a college town, which can create the impression that everyone is 22, but in my little village I have a very different sense of people, which I value very much.
. . . Only religion fully realizes the arc of human life.